Can you believe Christmas is just around the corner? It’s sneaking up on us fast! So, I thought I’d post a little something about this time of year. Actually, what I’d like to do is post a couple of questions. I hope you’ll give some time and thought too over the rest of the year. Yes, I said the rest of the year. I know; my head is spinning too! Anyway, on to the questions. Now these my seem easy enough, but I challenge you to really think about each one. Question 1 ~ What does Thanksgiving really mean to you? Question 2 ~ What does Christmas really mean to you? Question 3 ~ What can you do to make this time of year less stressful, not only for yourself, but for others? Question 4 ~ In what way or ways can you help someone less fortune as yourself over Thanksgiving and Christmas? Would you be willing to do so? Then get out there and do it! If not, take the time to figure out why. Question 5 ~ Do you dread the holidays, or look forward to them? Why? Fall in Love with a Novella! Susan I've sent an e-mail your way, hope to hear from you soon! Suzanne D. Williams is featuring novella length books on her blog, and you have the chance to win. Each of the authors is going to give away a Kindle copy of their book through Amazon. Winners will be chosen at random from all comments received, so please leave a comment with your email address below. For fun, each author has posted the first full paragraph on page 25 from their book. 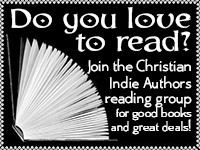 Enjoy discovering new Christian-themed fiction, discover new authors along the way, and "Fall in Love with a Novella". Haunted by the Past is featured on this giveaway! Looking up after zipping her suitcase, Nadia caught her reflection in the mirror above her dresser. That unsettled expression was starting to seem normal. Andre entertained himself for several hours in the library, pouring over ancient tomes he’d bet were worth as much, if not more, than the art glass he’d yet to see. He wandered into the parlor afterward half-hoping Cerise would appear, but it wasn’t until supper was served that he saw her again. "Cheeks warming, Stephanie chided herself for not realizing Brandon would probably be at the stables. With Rose. And no doubt he'd witnessed her break into a run when one of the horses blew its nose at her during her pasture crossing." REFINING FIRE"Fortunately, the “lite cooking” part of the job meant Clare only had to prepare meals when the full-time cook was off. Or was fired. Or had quit." I know you don't want to miss out on these wonderful books, right?? So I bet you're wondering how you can enter to win...well it's simple. Visit Suzanne's blog and leave a comment! Yes, it's REALLY that simple! Who doesn't like a blog hop? I just finished one for my recently released young adult/adult book last week and had a great time. I hope this one will be just as fun! I'm sure it will be, finding good books that teach your children something important is always fun, right? First, I'm very excited to have been invited to join a children's author blog hop by the sweet Gailya Keller. Be sure to click her name and hop back and check out her site and blog post as well. Her children's book The Secret of Smiley's Woods looks very interesting! Now I guess it's "about me" time. Right now I'm looking into finding an illustrator for my other children's book that I have finished. It's about a teenage boy with disabilities and touches on some things in life that he has to face. I'm also working on two other young adult/adult books that I hope to have published sometime next Spring/Summer. One of them is goes with my recently released book "Haunted by the Past". I can't write if I push or force myself too. It just doesn't turn out well at all! So, I write when the next part of the story "hits" me - when God lays it on my heart. Sometimes that can be a little frustrating, but it's how my process works right now. It might change the more writing I do, but that's something only time will tell. Who are authors that you most admire? I like Frank Peretti's writing, as well as Penny A. Zeller's. They both can paint a picture really well and make you feel like you are right there in the story. I turn to God first and foremost for my inspiration. Without Him, none of the books I've written or that I'm working on now would be here. If I have simple questions I may ask friends and fellow authors, they are a tremendous help. Thanks for stopping by a while! I hope you are enjoying the Hop!